V2 has given the new Pro Series 3X a huge tech upgrade including the long awaited sub-ohm capability, and this gives a huge boost in vapour production and the overall vape experience. One other flaw in the older Pro 3 was the draw, the air intake was not adjustable so it was a case of "one size fits all". V2 have listened and both these major issues have been addressed by including a new product which is capable of sub ohm vaping incorporating a neat adjustable air flow. You don't need to buy more than one vaporizer for all your vaping needs, the interchangeable cartridges talk to the CPU so it "knows" what you are vaping! V2 has moved with the times, and is now probably ahead of the times. Still our best vape? You bet! Sub Ohm Capability! Max Vapour! We all eventually bought the Pro 3 because it was the best vape out there and even after more than a year V2 had not brought out any upgraded version. Well now they have. Is this the best vape pen in the UK for 2019? For whatever reason V2 have resisted the temptation to develop just another sub ohm box mod, this has held them back, perhaps just a little bit because many vapers do like a more extreme vapour. V2 has on the whole stuck with the pen-style cig shape e-cigarettes, vape pens and tobacco vaporisers. This has not changed but what has is that they have redesigned the Pro 3 so that it is now capable of competing with box mod devices at sub ohm levels and with two distinct advantages. 2. 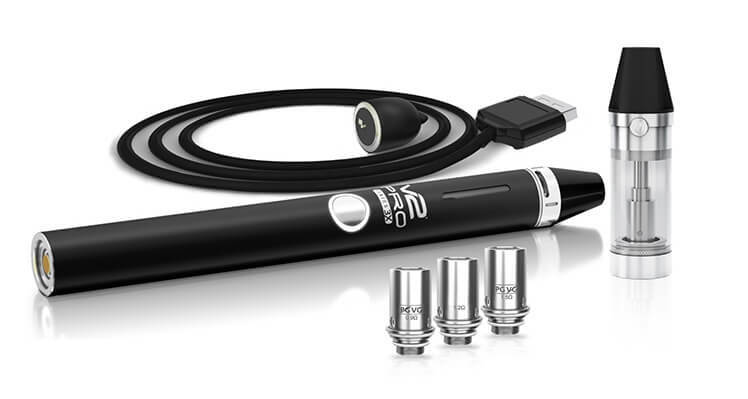 A simple, discrete and more attractively designed vape pen. And a very advanced one at that. So is the new Pro 3X the best vape? – lets find out. V2 has refreshed the Pro 3X which is marketed in the advanced “V2-Labs” section of their website, presumably to showpiece their more advanced vape products, which includes the larger scale V2 Pro Series 7X and V2 Pro Series 9 (a programmable Bluetooth vaporizer); these two are only available in the USA to pre-order. However if you are looking for the best experience in dedicated dry herb vaping you must take look at the new VMR Prohibited herb vaporizer range. LED battery level indicator – motion activated -just shake and tell! 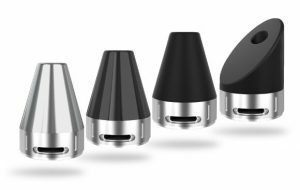 The four separately designed mouthpieces are a great idea and will allow you to vape in total comfort with something that you feel really fits in your mouth, a small thing perhaps but isn’t part of life about being comfortable. It shows an attitude by V2 that is reflected in the new Pro 3X versatility options, an attention to detail that the vast majority of brands simply don’t show. It is better looking than the awkward Box Mods, smaller and far easier to store and easier on the move. Again with the X3 you only need one device so you save money too. Like Apple, V2 go the extra mile. But while Apple fans still await a magnetic interface, V2 fans are already there. And this is what makes V2 so different. In the space that is vaporisers and vape pens and there are many many in this space, the V2 Pro 3X is simply different, better, a more thoughtful, rounded tool that does many things that we want, and it does those things exceptionally well. The price may seem a bit steep but with the 6 month warranty and a quick calculation at the cost of 6 months cigarettes (£1,600+) most will simply see it for what it is – quite the bargain, frankly. V2 has moved with the times, and is now probably ahead of the times with the advent of the V2 Pro 7X and Pro 9 late 2017 early 2018 advanced vapers cant wait. The new Pro 3X is not the Pro 3’s replacement that some expected. Despite all its upgrades it is the same dazzling and unique vaporiser that V2 brought out in 2015, it has expanded hugely on the Pro 3 technology. Only it is better, more configurable for personal choice, offers more vapour and taste and hence is more enjoyable by more people. 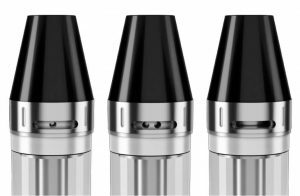 With the small size, its design, technology and capability the 3X is, in our opinion the all-round best vape experience there is today. All tobacco and dry herb products have varying characteristics including the amount of moisture content. When you use a vaporizer to vape tobacco or dry herb/loose leaf it generally will not result in significant amounts of vapour – the more that is visible when you breath out the less you are absorbing and the more waste there is. Be patient – if there are not huge vapour clouds it does not mean you are not experiencing the active ingredients. Most active ingredients give off a colourless gas when vaporised so will not be visible. Inhale, hold, repeat through the cycle and see. If you like a bit more vapour you can add a few drops of e liquid – e liquid is deliberately formulated to give off vapour to simulate the smoking effect – there are some e liquids designed not to give off vapour and these e liquids still deliver the desired nicotine hit – vapour does not equal active ingredients. Start out by vaping the tobacco loose leaf/dry herb for one cycle, then mix the dry herb with the kit provided and use for a second cycle then mix again and if necessary vape through a third cycle. During the 2nd or 3rd cycle you will probably note that the content is fully used and no active ingredient remains and things have worked out well. In terms of a vaporizer that works exceptionally well with not only e liquids but loose leaf tobacco dry herb, wax and CBD, there is no other vape pen that can compete. Taking into account its smaller form and the Pro 3X’s ability to vape e liquid using sub ohm and standard vaping it is an ideal and powerful vaping solution if you are looking to stop smoking. In addition, this versatile “Swiss Army Knife” is your one-stop shop for all your vaping needs. 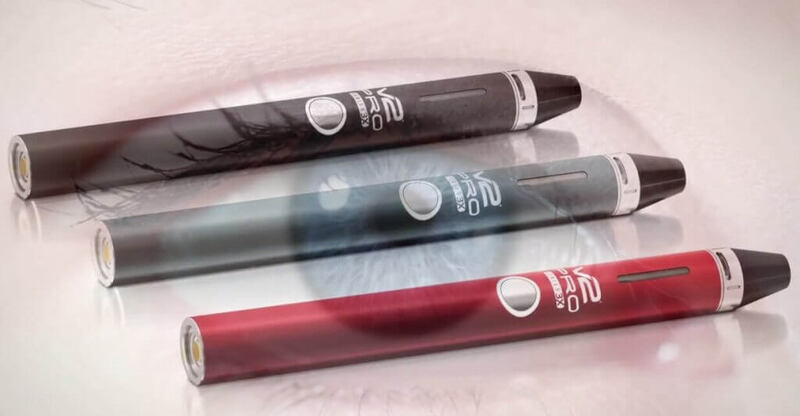 A little more expensive than some but with those you will need a second device to deal with vaping dry herb and/or wax – and you wont get the magnetic so will get leaks!. The above section reviews the important aspects of our favourite small scale advanced dry herb vape pen and shows that it is a bit of a Swiss army knife. You only need one vape device which obviously saves you money. What is the best method to vape dry herb? When using the V2 Pro Series 3X you need to be aware of a number of things in order to get the best from your device. If you have not used a dry herb vaporizer before it does take a little practice . So here are my top tips to guide you to getting it right. Dry herb has varying characteristics including the amount of moisture content. When you use a vape pen to vape dry herb/loose leaf it generally will not result in significant amounts of vapour – the more that is visible when you breath out the less you are absorbing and the more waste there is! Start at the lowest temperature and vape for one cycle – after that mix the dry herb slightly in the chamber to loosen it and rotate the surface. Now set to the next temperature and use again for another cycle – then if needed repeat for the highest temperature. At some temperature setting your vaporizer will get you the best result for your particular herb. By using the above method you will determine which setting to use quit quickly. Ensure the material is properly ground down using a quality herb grinder. The temperature of the heating element is NOT the same as the vaporization temperature in the heat chamber where the herb sits. Therefore it does not follow that there is too much heat at the highest Pro 3X setting for dry herb. There may be a 5-20 degree difference between heating element and dry herb chamber. There is much on-line about optimum temperature settings for dry herbs etc. Merck testing suggested 200°C and there are other suggestions. But by using the steps outlined at #1 to #7 above you will find your optimum temperature pretty quickly! The Pro 3X vape pen has a 6 month warranty, this reflects the confidence the manufacturer has in the product. If it only lasts 6 months the saving you have made will easily allow you to afford a new Pro 3X. Many other vape pens have standard 30 day warranties. All V2/Vapour2 vaporizer devices would be replaced under the companies no quibble guarantee should the products be defective. The company has an excellent help desk and customer service record.